PAINESVILLE, OH (WOIO) - Sgt. Mike Gerl, the Richmond Heights police officer who was shot by a suicidal suspect during a welfare check in December, is selling Indians/Cavs shirts for charity. Gerl was shot during a welfare check on former Cleveland Clinic doctor Carlumandarlo Zaramo. Zaramo shot Gerl in the right side of the chest, putting him in serious, but stable condition. Zaramo was then shot and killed by a second officer. 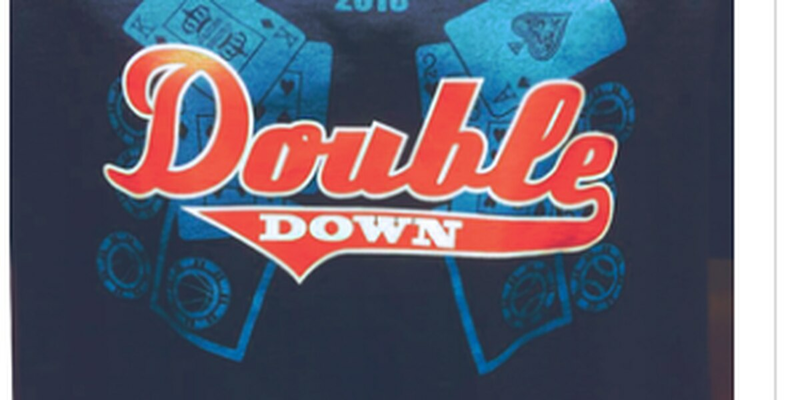 The shirts say "Double Down" and were designed to honor the Cavs and Indians' successes this season. Part of the proceeds will benefit the charity Police Wives of Ohio, which provides emotional and financial support to the family of law enforcement officers. The shirts are printed through Max Printing in Painesville. They cost $19.95. Gerl says he has already sold about $300 worth of t-shirts. You can buy shirts online or at Max Printing on 759 Lakeshore Blvd. in Painesville.